TymeDigital is holding its cards close to its chest following the August announcement that Patrice Motsepe’s African Rainbow Capital (ARC) would become its 100% owner. If you look closely, however, there are some clues in the ARC press release announcing the acquisition of a further 90% of the bank (ARC already owned 10%). According to ARC, TymeDigital is expected to "disrupt the local banking sector through innovation and technology". It describes TymeDigital’s target market as the emerging middle class. And whereas TymeDigital reportedly had said it would not target the unbanked, the statement says "targeted client segments include the unbanked and underserved clients as well as small and medium enterprises". ARC co-CEO Johan van Zyl said the underserved were "consumers that have bank accounts but who need greater transparency and access to a variety of products and services". Since May 2016, TymeDigital has offered a service called Money Transfer, through which customers can send money to family members and friends. The release puts user figures at "just under 400 000" – about double the number quoted a year ago. Users can register for Money Transfer at self-service kiosks in PnP and Boxer stores. Once registered, they can send and collect money using a code, received via SMS, at till points. The statement describes Pick 'n Pay as TymeDigital’s leading distribution partner and indicates the bank’s plans to grow its network of partners. CEO Sandile Shabalala previously said these kiosks would be "refreshed" to offer more banking services. He also said the bank would offer "all the digital platforms you can think of" and that customers would be able to open a bank account in 10 minutes and get a card "immediately, with their name on it". In addition to its focus on technology and speed, TymeDigital has emphasised the need for competitive pricing. The ARC release reiterates the bank’s aim to provide "affordable and accessible banking services". Tyme (Take your money everywhere) was acquired by Commonwealth Bank of Australia (CBA) in 2015. ARC co-CEO Johan van der Merwe told Business Day TV that ARC had been thinking of upping its shareholding to 51% "to have a black-owned and controlled bank in South Africa". When CBA reconsidered its strategy outside of its core markets of Australia and New Zealand, ARC opted for 100% shareholding, with the option to bring in other shareholders at a later stage. Motsepe said the acquisition would make TymeDigital "the first black-owned and controlled commercial, retail and digital bank in South Africa". TymeDigital was initially expected to announce its first product by the middle of the year. It is unclear when it will officially launch. • A TymeDigital representative, who asked not to be named, said “we are unable to provide responses to [Fin24’s] questions at present whilst awaiting the necessary regulatory approvals”. 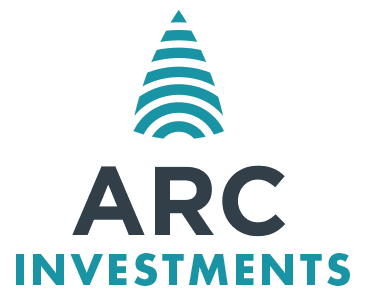 When announcing the acquisition, ARC said it was “subject to approval by the regulatory authorities, including that of the Prudential Authority of the South African Reserve Bank”.